As shopping online and click-and-collect trends continue to shape the retail world, convenience becomes a top priority to shoppers across the nation. Although many still prefer the in-store and interactive product experience, many prefer the get in, get out, skip the endless browsing process. We think of malls as an enclosed multi-retail store space with food courts and kiosks but the growing perception is that they are inconvenient and outdated which is why several malls across the U.S. are turning to the de-malling of America. The term “de-mall” has different meanings to different people. One version would be giving a shopping center a “facelift” and reconfiguring an enclosed mall by turning the existing stores out to face the street. Another may be ‘re-tenanting’ an enclosed retail mall with offices or other mixed uses leaving a mall’s retail history behind. De-malling ultimately comes down to the level of demand from savvy shoppers. However, retail isn’t dead, it’s just a matter of re-grouping. Some of the most profitable malls in America are focusing on redeveloping their mall properties and getting rid of outdated tenants in the coming months but only because they don’t have much of a choice. It’s coming down to either de-malling or adapting to the new mall trends in addition to consumer demands. 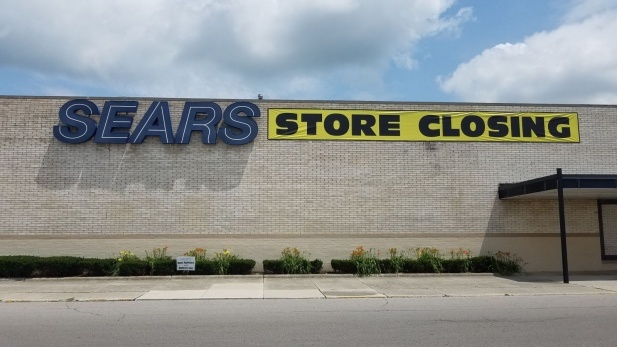 With retailers closing hundreds of stores across the nation or filing for bankruptcy, property owners must find tenant replacements elsewhere – and quickly. As several real estate investment trusts contemplate the de-malling of America and replacing vacated spaces with mixed-use hotels, apartments, and office spaces, others are giving their properties makeovers by adding craft breweries and other entertainment tenants including bowling and game who can provide a notable experience to customers. Shoppers will redirect spending money – for the past several years, consumers have dedicated a greater share of their spending to services including dining at restaurants, goods, and apparel. It is forecasted that by the year 2023, consumers will redirect $78 billion more in spending to services. Mall owners will continue conversions of shopping-center space to leisure and entertainment space in addition to pop-up shops over the next few years to drive shopper demand by experiences. One in five department stores will close – department stores that are keeping up with the on-going/developing trends and focusing on consumers demands will continue to thrive in the retail industry. Other department stores continue to decline which is estimated to reduce the total sector store numbers by one-fifth from 5,900 in 2017 to approximately 4,750 in 2023. This forecast was established based on department stores who filed bankruptcy and closed several stores across the nation. Online apparel stores will more than double – e-commerce is one of the major drivers in the current retail industry and it will continue to pressure brick-and-mortar retailers. Based on average annual sales, it is estimated that online apparel sales with more than double from $70 billion in 2017 to $143 billion in 2023, which is an increase of $73 billion. As we continue to see a change in consumer shopping trends, malls are forced to make major changes and renovations to stay relevant in the market or consider de-malling. What is your take on the de-malling of America? Are malls in or out?